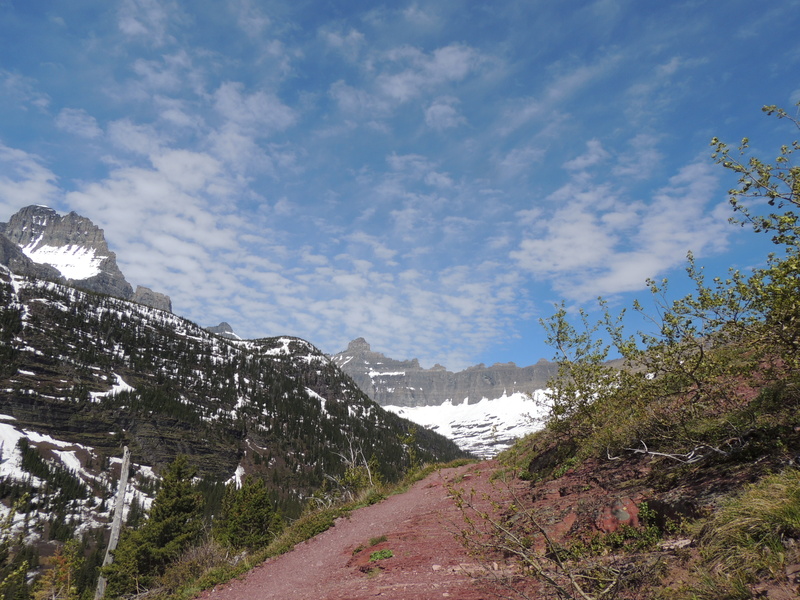 Mid-June is definitely not summer in Glacier National Park. 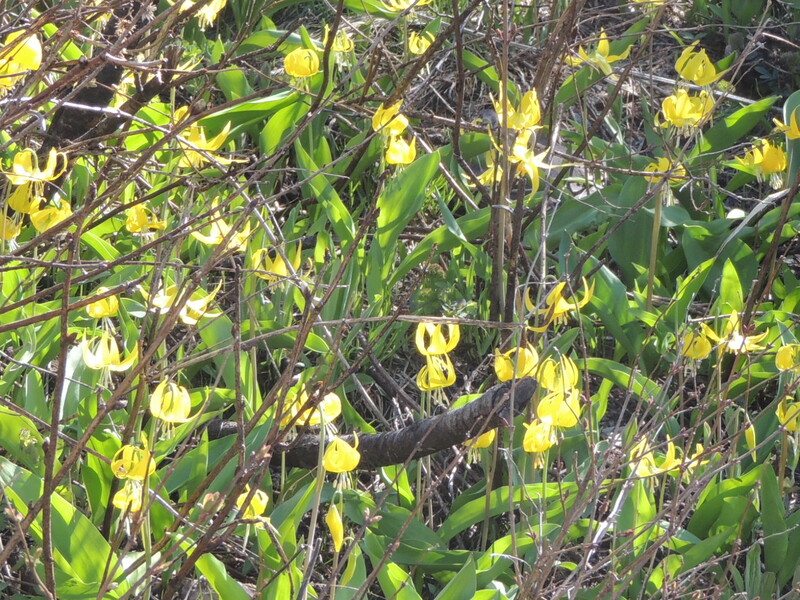 The snow is starting to recede, and the wildflowers are just starting. Nights are cold, but the long days and lack of crowds make it a great time to visit. 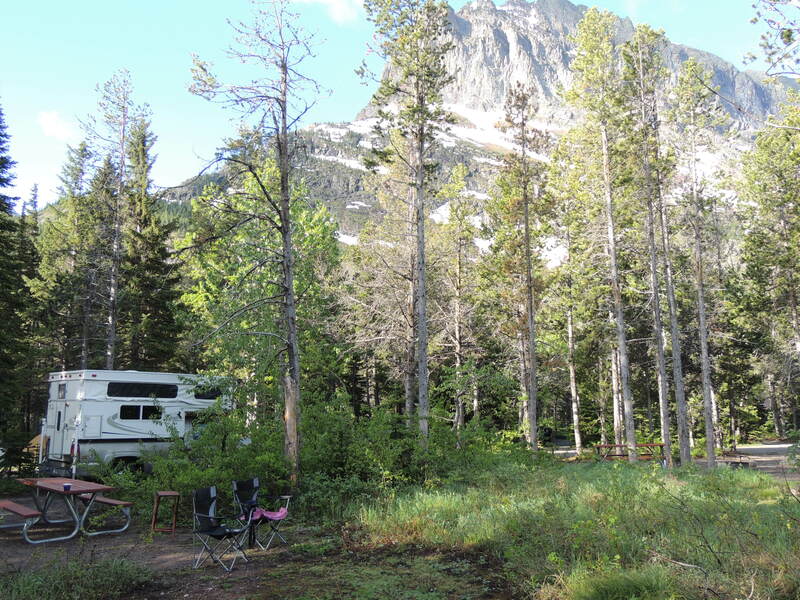 Last year we had such a great weekend at Many Glacier campground in early June that we went again last weekend. There were a few folks in the campground, but not many. 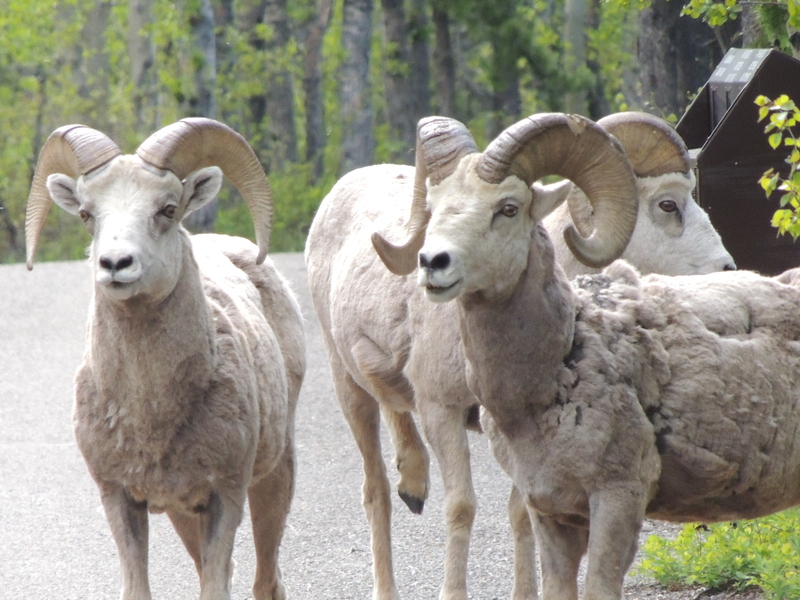 A group of big horn rams visited the campground one evening. They’d probably been hanging around for a few weeks, and were doubtless perturbed that people were suddenly invading their space. We hoped to be able to hike a good part of the way to Iceberg Lake, but the snow stopped us after just a couple of miles. 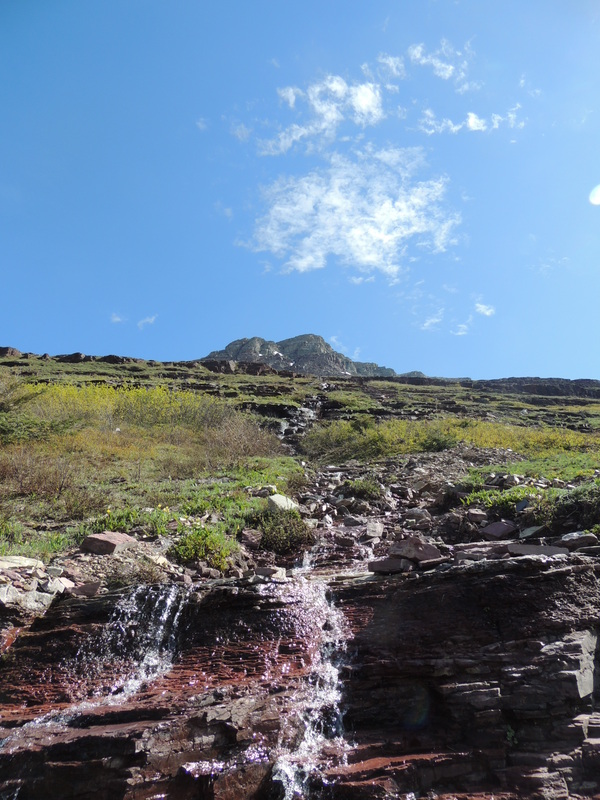 No worries, though – it was still a spectacular hike. 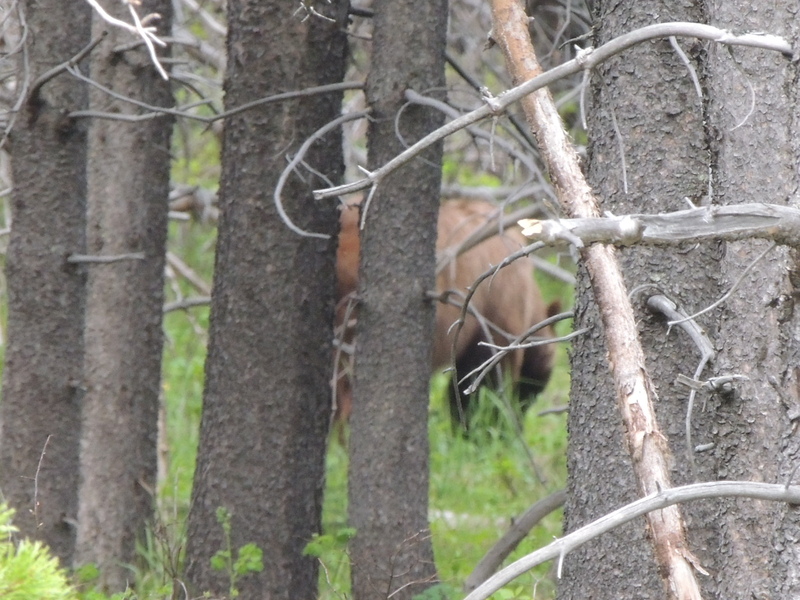 We didn’t see a single bear on our hikes, but one guy did spend some time in the trees near the campground. He wasn’t too cooperative about having his picture taken, though! 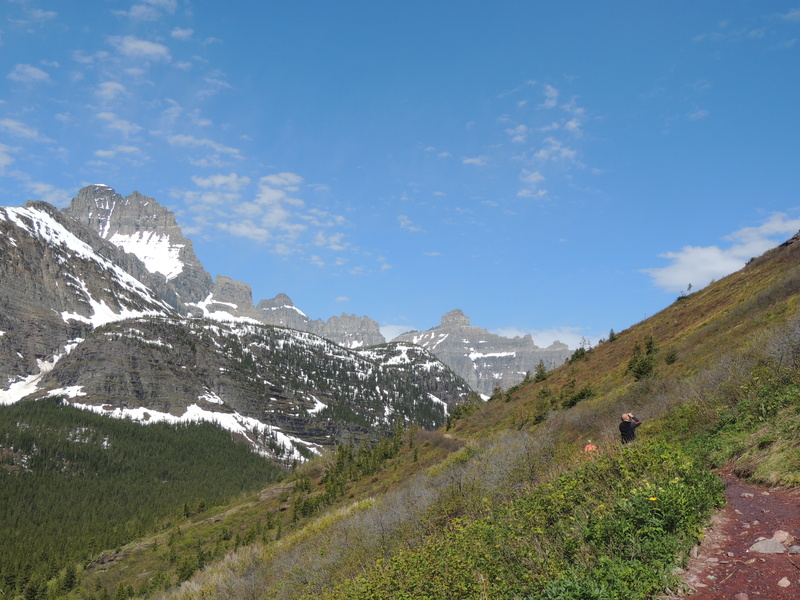 This entry was posted in Camping, Hiking, Montana, Nature, Outdoors, Wildlife and tagged Big Horn sheep, Glacier National Park, Iceberg Lake Trail, Many Glacier Campground. Bookmark the permalink. I’m headed there in early August and cannot wait! It will be gorgeous then! Have a great time. You’re right. 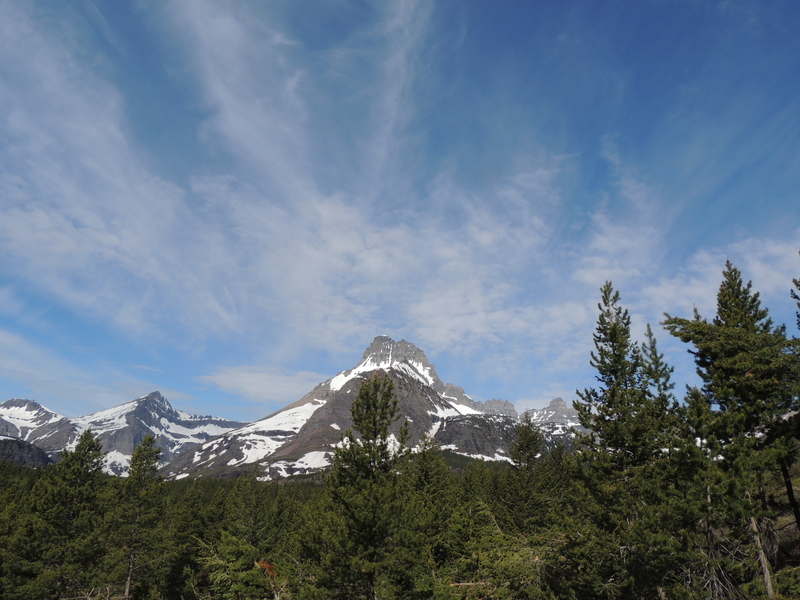 Actually, I think Montana seems like a big Scotland – minus the moisture! Fantastic photos! 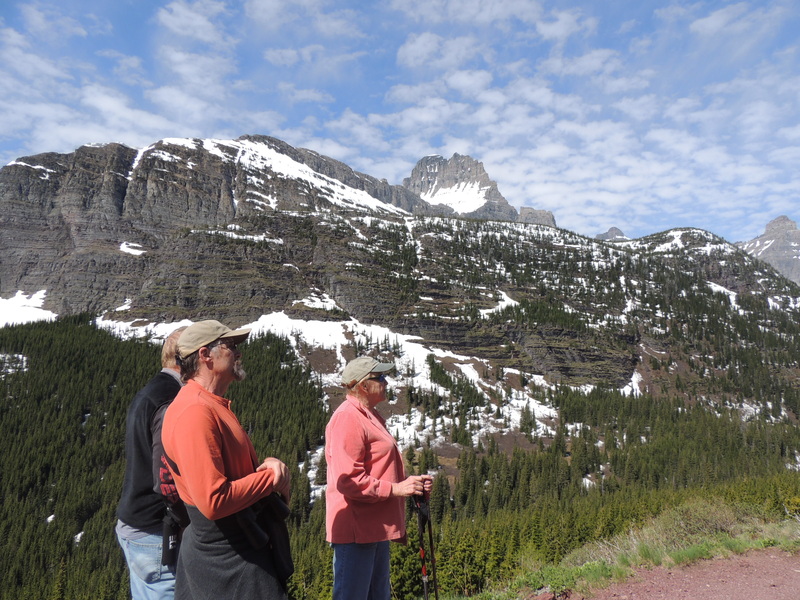 Thanks for the peak at Glacier, Cindy. 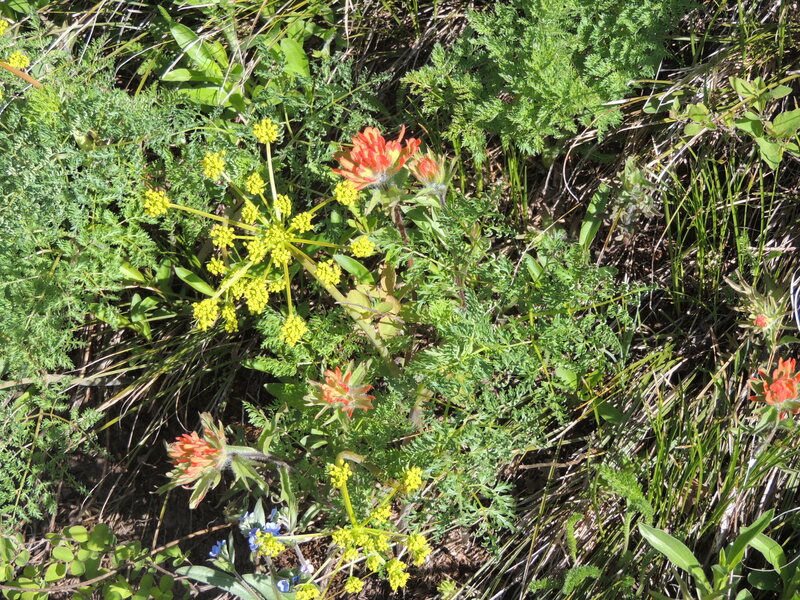 Beautiful scenery and wildlife, and great photos to showcase it all! Snow in glacier! How nice. It’s so hot here in Phoenix! Have you been there? You’d love it. Oh, and the snow wouldn’t stop you, I know. You’d just keep on truckin’. I have not! It is definitely on my bucket list! June is one of my favourite months for holidays for all the reasons you mentioned. Looks like you had a great time. It is a great time to travel, isn’t it? Such a beautiful area. My friend just posted photos of Glacier on facebook. She’s there now and it’s snowing lightly. Hope it stops before I head back up there next week! Stunning! I can guess how those big horn rams are feeling. Here on Martha’s Vineyard (Mass. 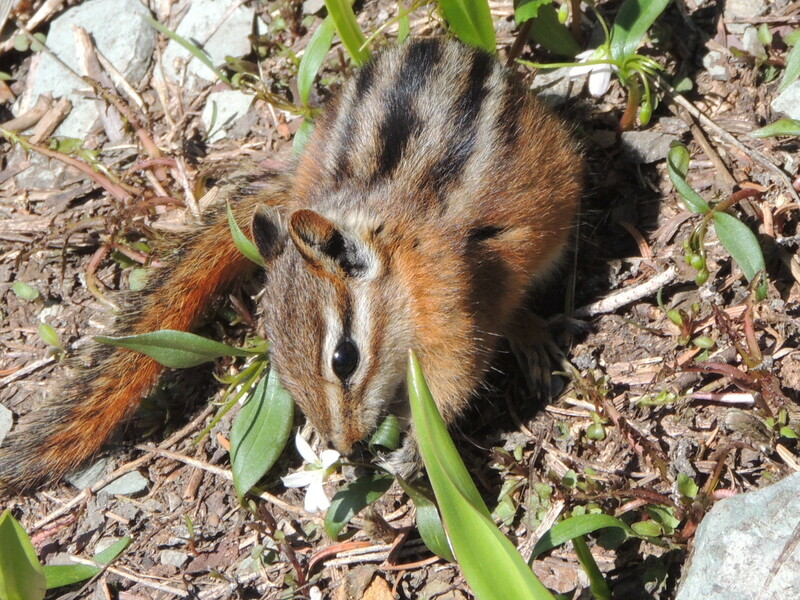 ), June is when the tourists show up in earnest. Spring has been fairly cool here, and we’re not quite ready for summer. I wouldn’t mind having a set of horns . . .
Ha! Don’t want to give too many locals a set of horns when tourists are acting up!